The subject is David Landau, editor of Print Quarterly, and a regular weekly sitter for Auerbach since 1983, he has now sat for 45 portraits. 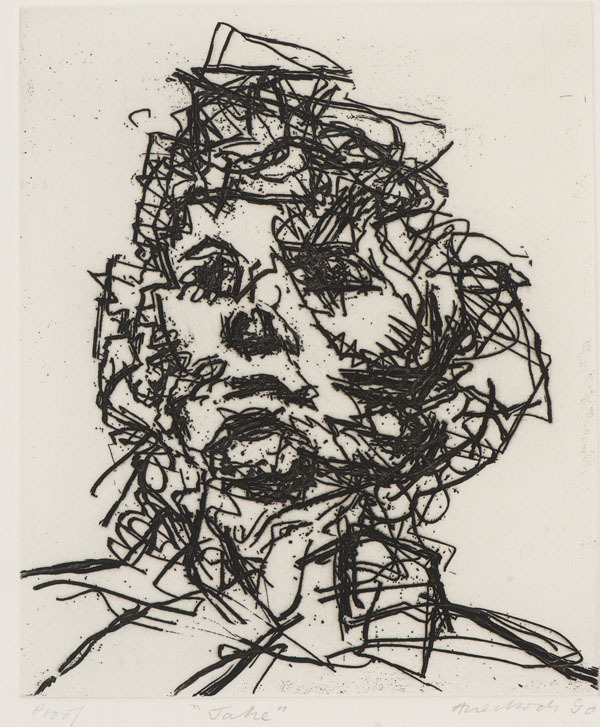 This lithograph is part of a series of etchings of friends and family entitled Seven Portraits, drawn by the artist with a Japanese screwdriver bought from his local Woolworth's. 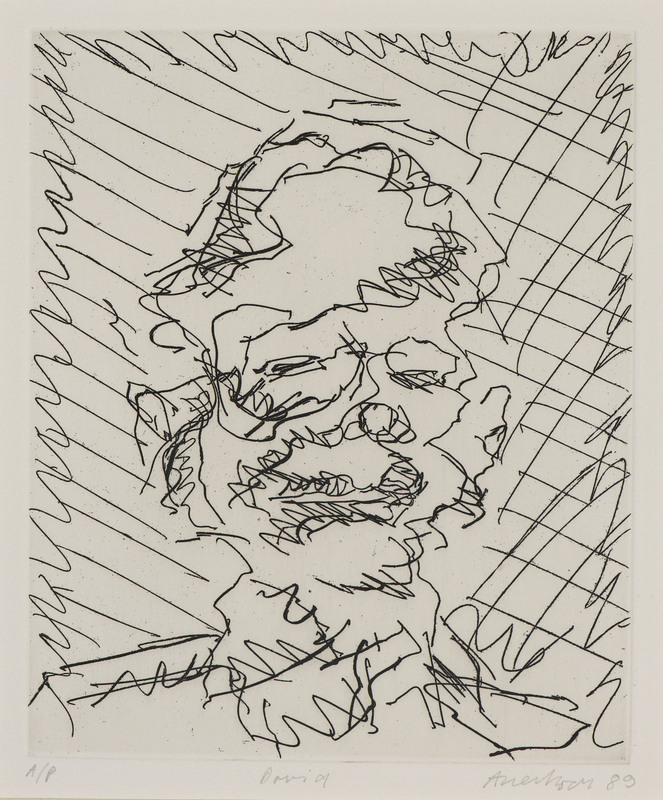 The artist was already at work on separate portraits of two of the sitters, David Landau, and the artist's wife, Julia, and these two prints were the first he produced. 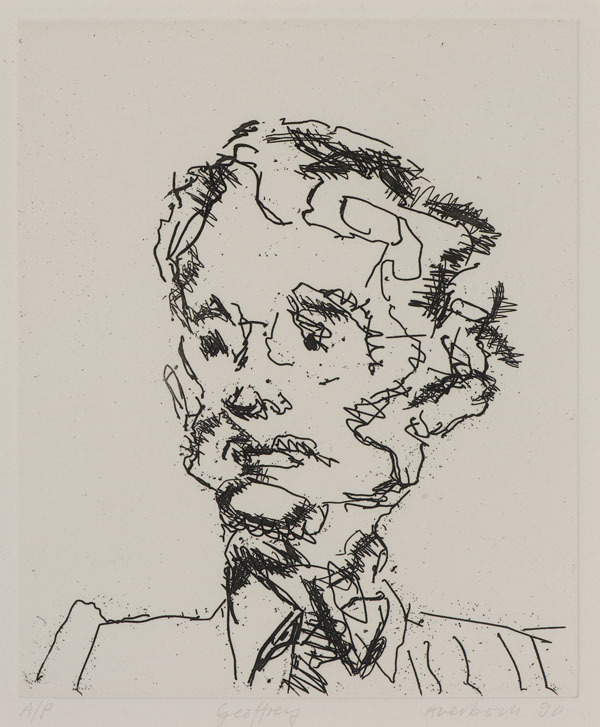 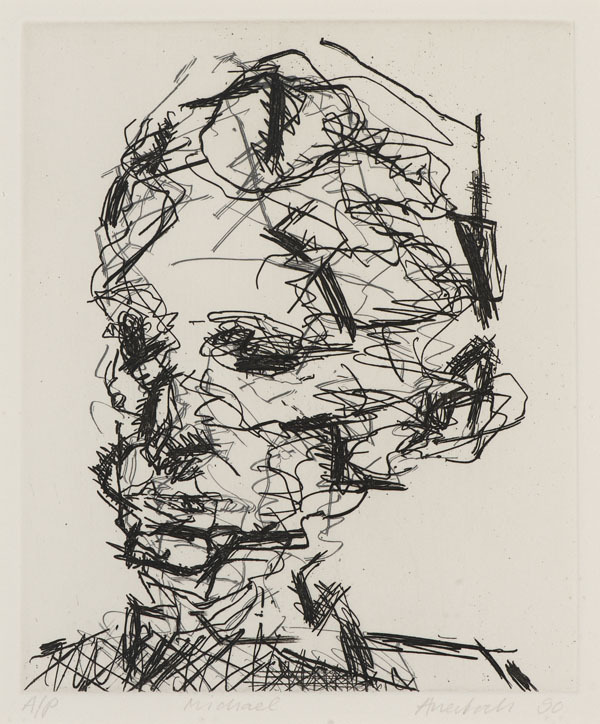 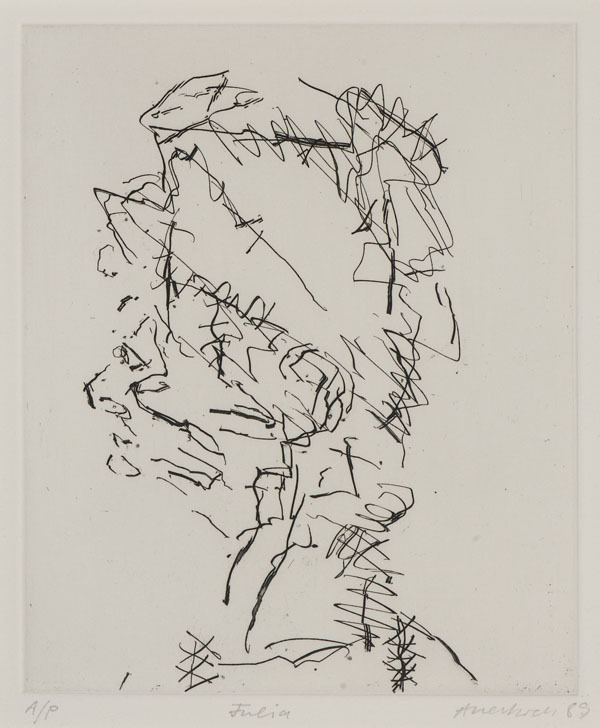 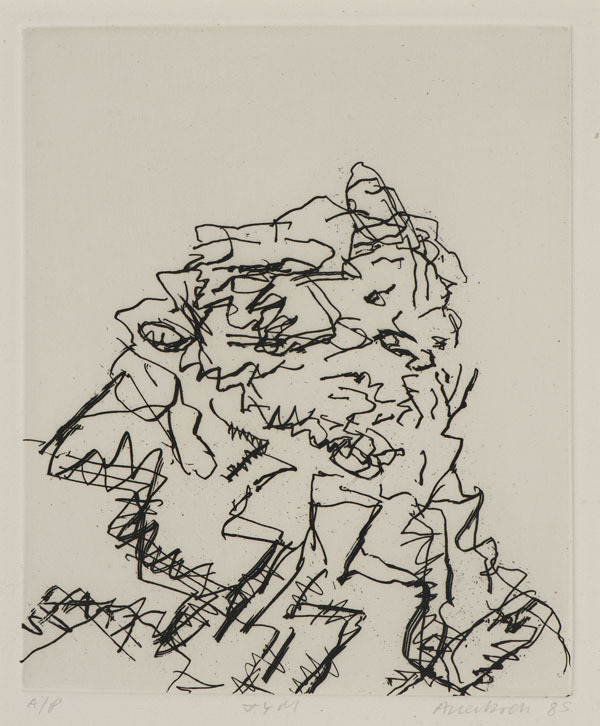 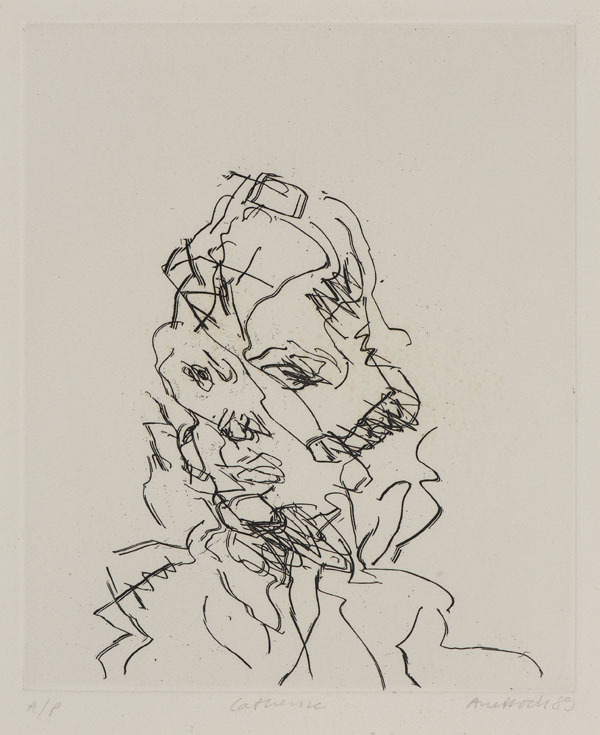 The etchings were made to accompany the deluxe edition of Robert Hughes’ Frank Auerbach monograph in 1990 and were proofed and printed by Marc Balakjian at Studio Prints.